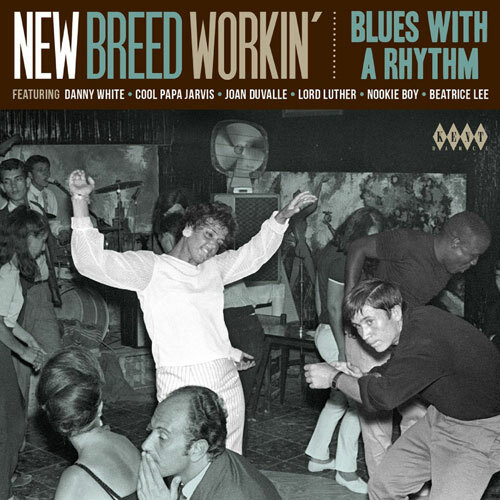 Great to see another ‘New Breed’ compilation from Ace Records, specifically the New Breed Workin’: Blues With A Rhythm album on the Kent subsidiary. This one is (almost) all about the rarities, with a third of the tracks on this album getting a first outing, with the rest being a trip through the Ace archives for some lesser-known tunes and recent rediscoveries too. New Orleans R&B from the AFO vaults, a clutch of tracks from Cleveland Ohio indie blues labels and some gems from the Arock / Sylvia imprint (including a new version of Mary Johnson’s R&B dance classic ‘These Tears’) for example. There are also ‘a couple of belters’ from earlier Ace CDs that may have been missed – Lord Luther’s ‘Poor Boy’s Song’ (popular on the Popcorn scene) and top dancer ‘Yes It’s You’ by Big Boy Groves with Little Margie, as well as as a number of obscure singles releases from the likes of Danny White, Varetta & The Thomases, Bertha Tillman, Beatrice Lee, Billy Ray, Little Betty and the Music City Soul Brothers. Obviously all with the extensive lowdown you would expect from an Ace compilation. You can pre-order now ahead of the 29th January 2016 release date, with the price at £11.99. Tracks below.